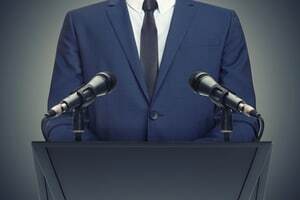 Are you ready for public speaking? Is the speech text persuasive enough? It’s better to be 100% sure. When support in writing is a must, you have to find a proficient writer to help you out. Luckily, WriteMyEssays.com has more than one. Whether you need to win confidence, share your personal feelings or inform a crowd, our speech paper will be very handy. We are not new to the market. WriteMyEssays.com has spent much time and applied many efforts to make its informative services trustworthy and prices affordable. Today the cost of projects is set to the industry’s average, which means that a student from any world corner is able to afford custom written speech paper from us. However, there may be additional features, too. Their cost is calculated during order making and added to the total sum you pay. Please note that our company does not perform primary researches. Though we do everything possible when helping clients with their speeches, we aren’t able to perform observations, questionnaires, interviews or any other kinds of primary researches. Why so? It mostly happens due to physical and geographical factors like the difference in location, resources or time. As you buy texts for money, you surely expect high quality and originality. At times, a client may be dissatisfied with the results delivered (we send a completed assignment on time in 95% of cases). If so, he/she can count on refunds. As for a money-back guarantee for additional features, the sum you get back depends on the option assigned to the purchase. Progressive Delivery goes hand in hand with complex orders. The revision deadline is usually limited to 21 days after the project is approved. After pressing the Approve part button, the author proceeds to the next chapter and there’s no chance to ask for a payback for a previously approved part. However, it can be received only for the last chapter of the paper delivered. The approved parts are regarded as non-refundable. The same goes for those 10% of the Progressive Delivery fee. Our customers transfer an extra fee for a writer’s category. If you do this, yet we fail in finding a native speaker to provide the content you count on, the extra fee is always refunded and assistance is ensured by another qualified freelancer. Samples of previous works are getting very popular these days. The feature is available for sale at the cost of $5 only. This kind of deposit is non-refundable. When a client fails to ask for a different penman within the given time (2 hours), we regard this as the acceptance of the initially assigned person. If you need the copy of used sources, we are ready to provide it, too. You need to transfer an extra fee before we deliver the list. This feature is non-refundable unless the copies aren’t provided upon delivery. Don’t entrust your speech to someone you know nothing about. If you want it to be original and interesting, find help here. We work with different topics and subjects and know how to make any text gripping and uncommon. When more information is needed, contact our Support Team and get expert answers 24/7. Use e-mail, phone or Live Chat to make communication faster and more convenient.